These new works by Fra.Biancoshock make me really uncomfortable. I love them. They are all part of his new series Graffiti is a Religion and were unveiled last month at his solo show Ephemeralism at 77 Art Gallery in Milan, Italy. The series is Fra.Biancoshock’s tribute to graffiti and graffiti culture, but it’s not as straightforward as that. Other artists, if they wanted to pay tribute to graffiti, might replicate what they see on the street onto a canvas. That’s certainly not unheard of. But that’s sort of work is just a facsimile. Fra.Biancoshock wanted the real thing, so he went out onto the streets of Italy and got it. 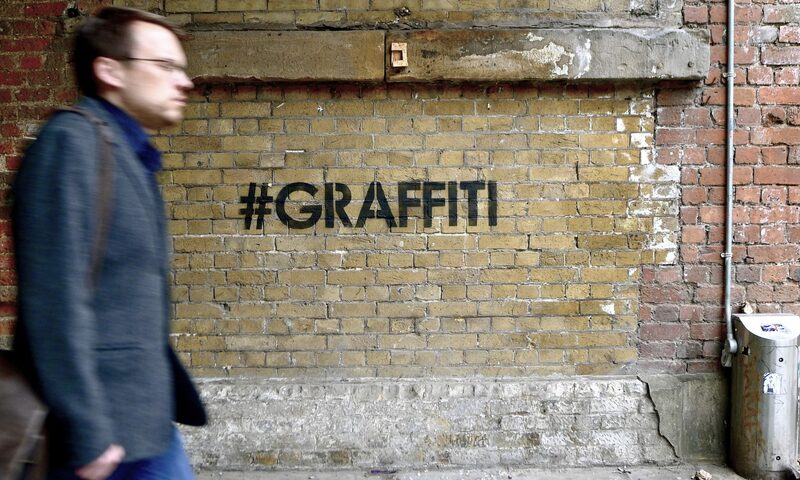 He chipped graffiti off of walls and is putting it back on display in a series of artworks. 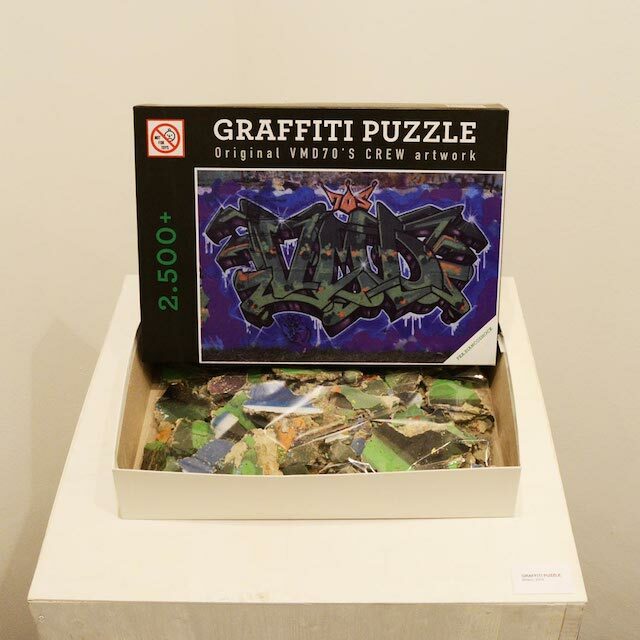 With “Graffiti Puzzle,” Fra.Biancoshock plays off the idea of famous paintings that get reproduced in puzzle form. Except, this time, it’s the actual wall that players are urged to reassemble. The wall is by the VMD 70′S crew (or a member of the crew), one of the most famous Italian graffiti crews. 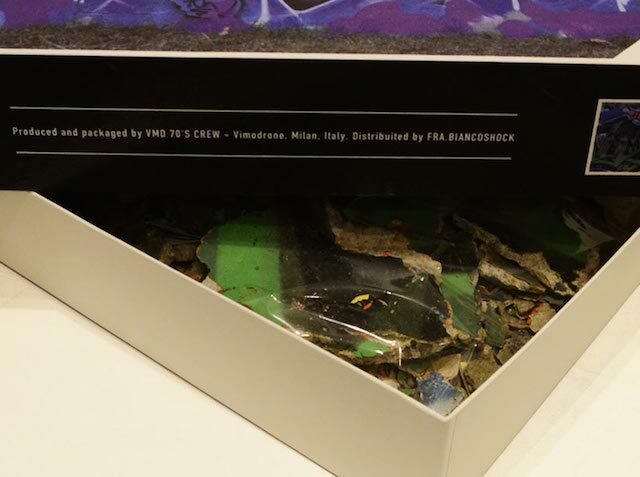 Although the labeling on the box suggests that the VMD 70’s were aware of this project and willing participants, I’m not sure, and I’ve decided that it’s more interesting not to know, so I haven’t asked Fra.Biancoshock. 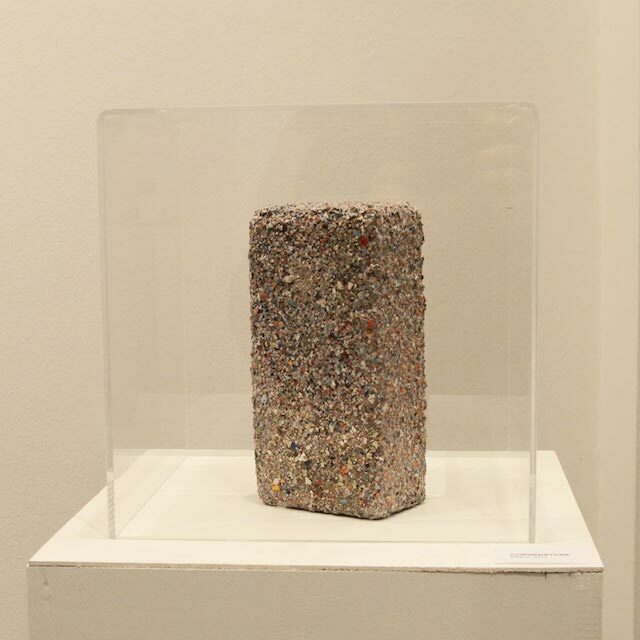 “Cornerstone” goes a step further and anonymizes the artists, a tribute to graffiti culture as a whole. It is made up of fragments of graffiti by some of the most historically important Italian writers, the people who together form the cornerstone of Italian graffiti culture. In this series, Fra.Biancoshock tackles that subject, and while his conclusions may seem absurd at first, they are not totally unfamiliar. Religious relics and historical artifacts are often treated like the pieces in Graffiti is a Religion: They are chopped up and spread so thin that they no long depict the whole of what they were, only reference it. In trying to love and preserve relics and artifacts, we often destroy them, as has been done here. And of as I’ve argued in the past, even ripping an entire artwork off of a wall in one piece, as has happened so often with Banksy’s work, does not really preserve it. That only gives a reference to what once was: An artwork placed on a particular wall in a particular public space. 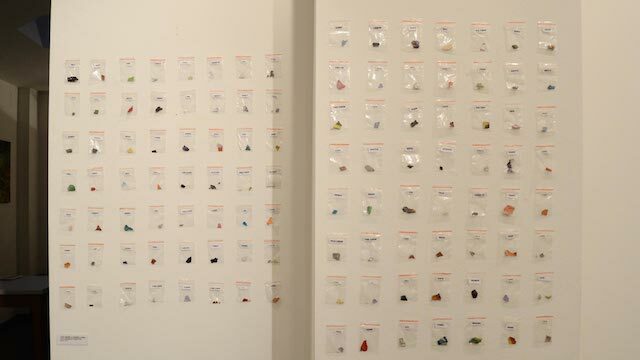 These paint chips are not graffiti, but they are all that we have once the buffman shows up. With Graffiti is a Religion, Fra.Biancoshock simultaneously brings graffiti indoors and humbly acknowledges the impossibility of such a task. 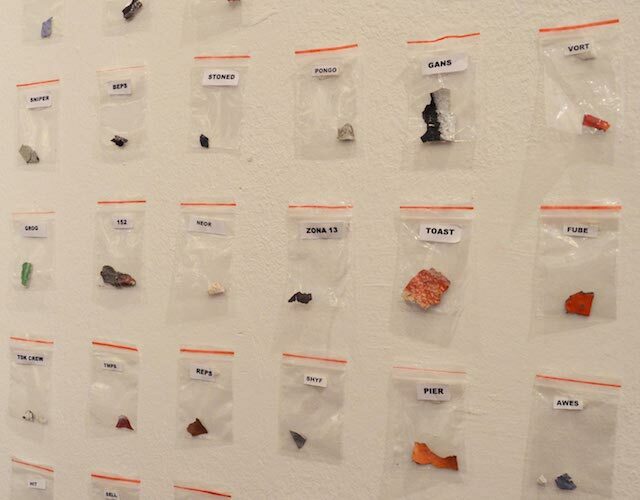 All of these pieces make me uncomfortable. The best art does that.